Which 2015 motorhomes offer the best insurance discounts? If you’re in the market for a shiny new motorhome this new year, you may be anxious to find out how much your desired model will cost to insure. If this is the case for you, one thing you should pay extra attention to is the types of safety and security features a motorhome has fitted, particularly those that offer insurance discounts. You may find several features that the manufacturer or dealer has fitted or can fit as an optional extra. Below we go through some of these features. We also present how you could retrofit security to lower your premium. 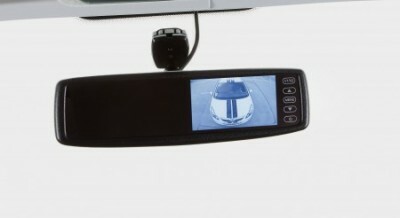 If you’re insured with Caravan Guard, you’re eligible for a 2.5% discount if a motorhome has a reversing camera fitted. As for security, with an immobiliser fitted you get 15% off but if your new motorhome also features a Thatcham Category 1 approved alarm system you would receive a 19% insurance security discount. Better still you would get a huge 25% off if your chosen motorhome is fitted with an approved tracking device. We’re yet to find a new 2015 motorhome without an immobiliser fitted as standard. Having one fitted means you receive a 15% insurance discount with Caravan Guard. That said, every model in Swift’s 2015 ranges – including Rio, Esprit, Bolero and Kontiki and models marketed under the Escape and Autocruise brands – is fitted with a Battery Powered Tracker Retrieve tracking devices, for which Caravan Guard offers a 25% insurance discount. If your new motorhome doesn’t have any standard fit security other than an immobiliser, you could lower your insurance costs even further by choosing optional extra packs offered by many manufacturers and usually very popular with buyers. For instance the “Comfort Pack” from Autocruise or the “Vogue Pack” from Swift each include reversing cameras. The “Premium Pack” is also available from Auto-Sleepers. European motorhome manufacturers such as Hymer and Adria also offer reversing camera, alarms and trackers as optional add-ons. Elddis give buyers of the Autoquest or Accordo ranges the option of adding a Thatcham Category 1 approved alarm system (19% discount) as a factory fit, whilst reversing cameras can also be specified as an option on any of its motorhome ranges. If you’re not looking for a brand new motorhome in the new year or your new motorhome doesn’t have standard fit security, you can still enjoy the same safety and security insurance discounts if you retrofit devices such as reversing cameras and tracking devices. Speak to your dealer for further details and remember to contact us if you make any modifications to your motorhome. If you do retrofit a security device such as an alarm or tracking device to lower your motorhome insurance premium be sure to check that it meets your insurer’s requirements. For instance Caravan Guard ask that a retrofitted immobiliser is Thatcham Category 2 approved, an alarm is Thatcham Category 1 approved and a tracking device is either Category 5 or 6 approved. What security devices did your motorhome come with? Have you considered adding more. Let us know by adding a comment below. I’ve just found this article. We fit many extras to our motorhomes and I am wondering which devices you want to know about when you say ‘remember to contact us if you make any modifications to your motorhome.’ I have a solar panel, an extra leisure battery, air ride suspension, tow bar, an upgraded radio and lots of loudspeakers, various odd things like a SOG, LED lights that I have added myself, the list goes on and on. I bought it second hand like this, the previous owner was obviously very keen, and it is one of the reasons I bought it. I think your requirement of notification of modifications was introduced donkeys years ago when boy racers were making their cars go faster and therefore were more liable to make a claim. But if we need to tell you about every little thing such as adding LED lights, we will all bore each other to tears. What do you actually want to know? Many thanks for getting in touch. We ask that customers advise us of any modifications made because in some cases, such changes can results in a rise in the motorhome’s overall value. This means that the sum insured amount detailed on the policy may need to be updated. For further details and advice, see our recent guide to motorhome modifications here. You seem to be over orientated towards reversing camera’s on motorhomes, but whenever I ask if you are considering a discount for members who fit “Dashboard Camera’s” in order to counter the rise in “Crash for Cash” claims by criminals who feel they can get away with claiming for their non-existant injuries, all I get is “We will pass it forward but nothing is available yet”. I have fitted one of these in both my Motorhome and my Car and when running through the film once a week to see how near I came to having an Engineered crash, I never cease to wonder why the insurance companies do not as yet make them mandatory. I will be interested to view your reply, after all 90% of Bus companies have already fitted them and saved thousands of pounds over and above the cost. Your suggestion has not been ignored. We are seriously reviewing dashboard cameras. We think dashcams could be highly effective in proving liability in accidents. If we can prove to our underwriters RSA that they will create a significant reduction in claims payouts, they may allow us to offer a premium discount. So watch this space! Great idea Clive – that’s definitely something we’ll look into in the New Year.